Whenever the good Lord is trying to get my attention, he alway's does it in sets of threes. The topic of this week's post was brought to my attention, not surprisingly, 3 times before I thought "maybe I should write about this!" 2) Whole Body Grace - My favorite health and wellness blog out there! (Ok, its my sister's organization, so I may be a little biased, but still, its awesome!) Last week WBG shared a blog post that was not only personal, but very deep, comforting and inspirational. Click here to read a young woman's struggles that almost brought her down, and how she bounced back from them. 3) Death - Recently we have lost two young, beautiful and talented woman. Leslie Carter Ashton and Whitney Houston. Each of these woman had impacted the lives of those around them. They each shared a passion for music, had beautiful daughters, and both sadly lost their lives this past month. I do not know them, and am only going off information released by the media, but it appears drug abuse may have played a role in these tragedies. Drug abuse is an addiction and often associated with feelings of depression or dark thoughts. And so three times, I was reminded that there are so many people out there who are hurting. Just because they are smiling, does not mean their hearts are not silently breaking. Please consider purchasing an original Lisscat Creations "ARMED WITH LOVE" handmade card. 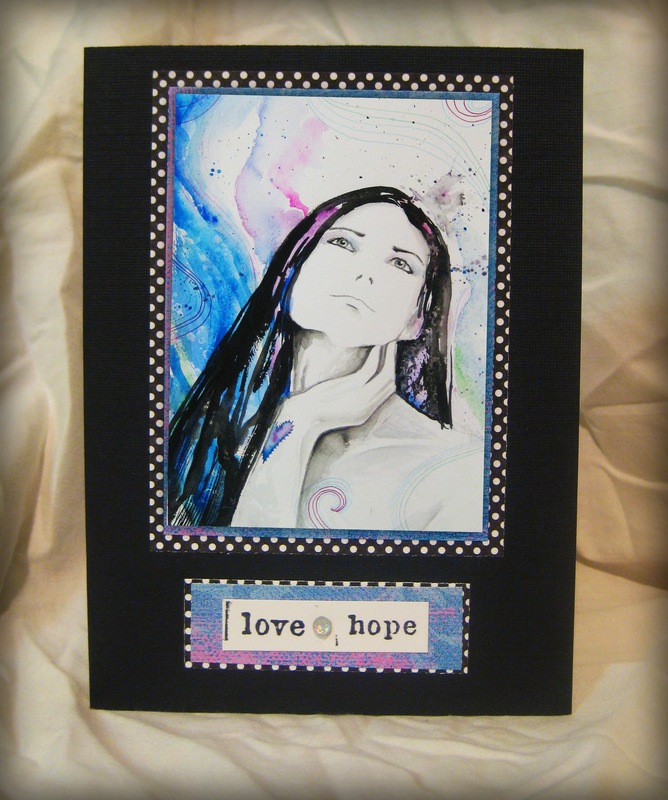 Each card is only $12.50 and 10% will be donated directly back to To Write Love On Her Arms. Keep it for yourself as a reminder of your self worth on your 'rainy days', or even better, purchase one for a friend who needs a smile. You can order "ARMED WITH LOVE" cards directly at www.lisscatcreations.com/shop or email me at melissa@lisscatcreations.com. I'll even ship it for free! In the continental US only.